Now a day’s urbanization and industrialization is going rapidly throughout the world in the name of development. With such development, we are disturbing our nature/ecological system. In return, nature responds in form of disturbing events and the scale vary from minor to major. They vanish whole city or part of it. 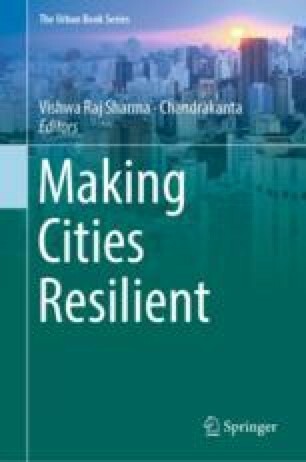 To overcome the impact of disasters, we have to make the cities resilient against these types of natural as well as manmade disasters. The world has moved from United Nation’s Millennium Development Goals (MDGs) to Sustainable Development Goals (SDGs) in order to make the planet more sustainable; where one of the SDG focus is to “make cities and human settlements inclusive, safe, resilient and sustainable”. Various stakeholders (individual, community, private and public) have to come together at single platform to make the planet more livable.